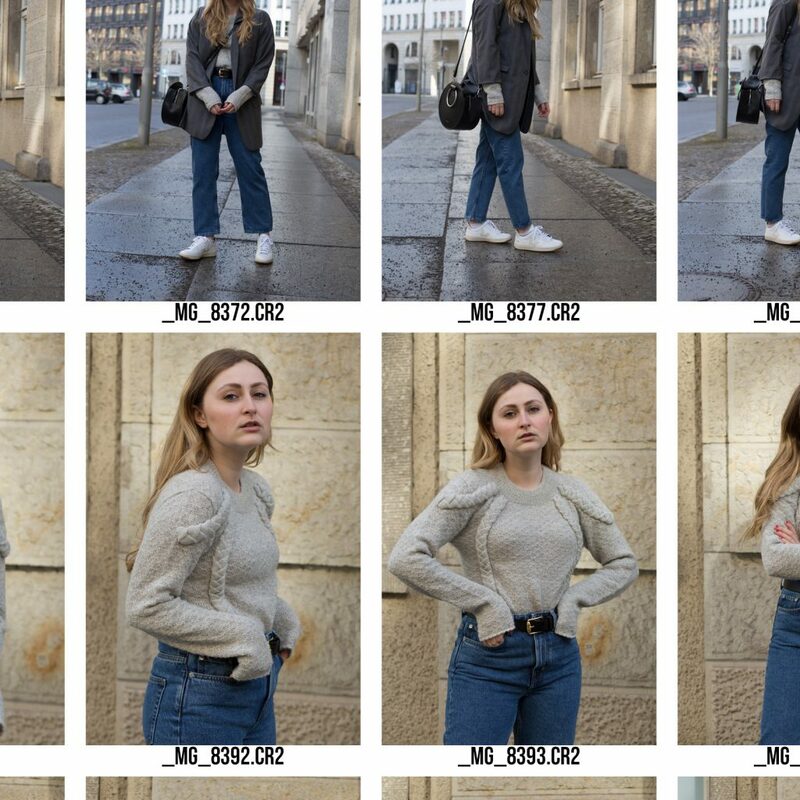 Thus it means my simplicity phase will continue even as the temperatures go up as the pullover is simply perfect for those cold spring days where the occasional sun comes through but it is still widely recognized as “sweater-weather”. Again I opted for a pullover so unique that everybody would have to look at it and be amazed. It is my favorite piece at the moment; actually this whole outfit is since it is the ultimate mix between casual and chic. The blazer is actually a vintage menswear jacket from Karl Lagerfeld the boyfriend bought a year ago but doesn’t like it anymore so I fixed it up by tightening it and shortening the sleeves. It is still oversized but the most importantly it fits at the shoulders which is the most crucial part of a blazer. The rest of the outfit is based on wardrobe staples: a solid pair of mom jeans called Voyage from Weekday, sustainable sneakers from Veja and my favorite circle bag from Matt & Nat. sneakers VEJA. pants WEEKDAY. belt GUCCI via VESTIAIRE COLLECTIVE. 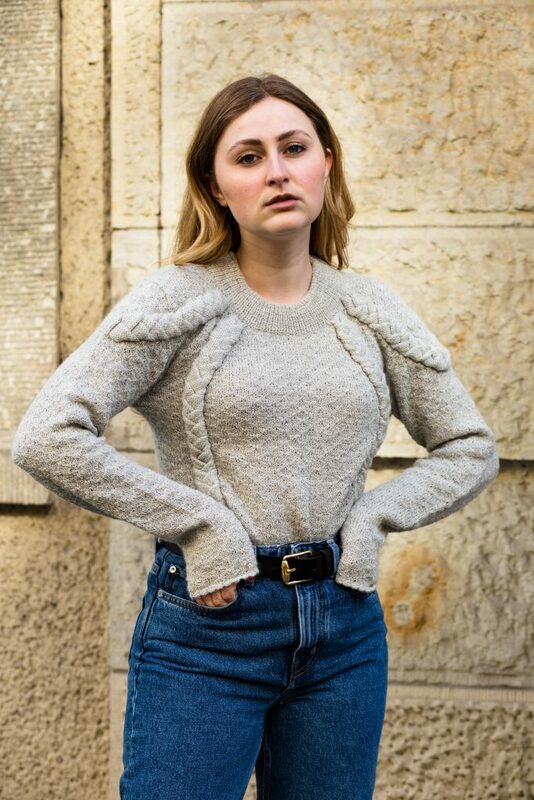 pullover GRACIELA HUAM. jacket VINTAGE KARL LAGERFELD. bag MATT & NAT. Ein wirklich tolles Outfit. 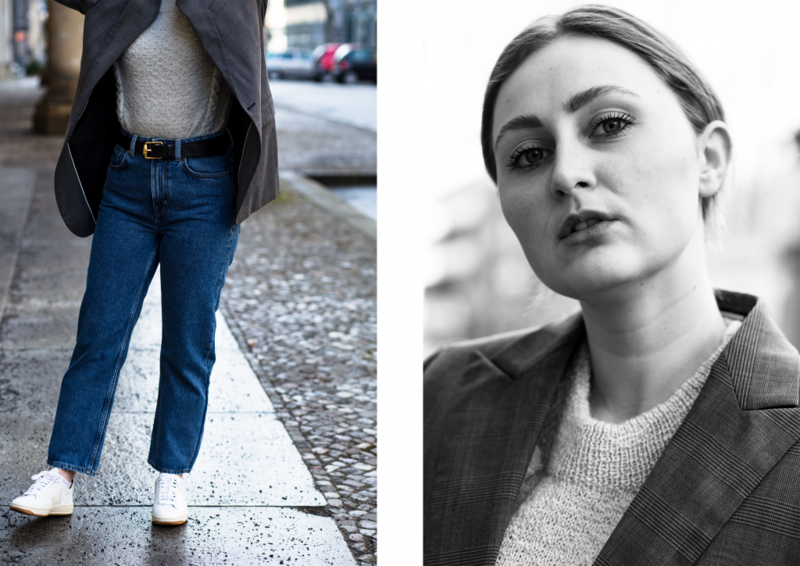 Der Pullover ist fantastisch und der Blazer steht dir.